Goals Setting is an important element when diving with SSDC. 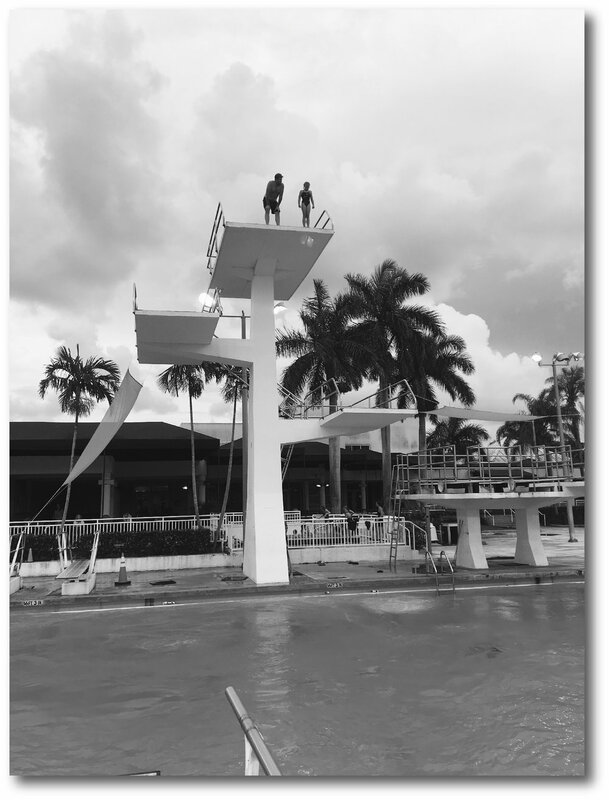 Divers are focused on short and long terms goals with an emphasis on continuous improvement both on and off the board. Below are some testimonials from parents that experienced RIPDIVE and witnessing their divers goal development and achievement. My daughter was the youngest diver RIPDIVE 2017, and it was a complete game-changer for her. She attended the training at the end of her first full year of diving, a time when she was unsure of herself and uncertain if she wanted to continue with the sport. Knowing RIPDIVE to be intense, my husband and I signed her up as a kind of do-or-die. She would either love it or determine that diving just wasn't for her, at least not right now. Not only did my daughter love the training experience, but she thrived in the environment that forced her to challenge herself physically, mentally, and emotionally. She overcame fears that had been haunting her and creating barriers to her progress. She improved quickly, learned new techniques and dives, and built her confidence as an athlete. She also bonded with her teammates -- the value of which cannot be underestimated. "She improved quickly, learned new techniques and dives, and built her confidence as an athlete." The cheers, hugs, and pep talks that the kids rotate through giving and receiving throughout the program builds a support system that they all leaned on at different times. In such a concentrated period of time, they model the skill, the struggle, the determination, and the resilience that they need to be successful in this sport. At the end of the four, grueling days, my daughter was exhausted, exhilarated, and asking when she could go back. Ripdive was a transformational diving experience for Alli. Watching her set her own goals, overcome obstacles, and then achieve amazing results was incredibly rewarding for her, and was so much fun to watch as a parent. 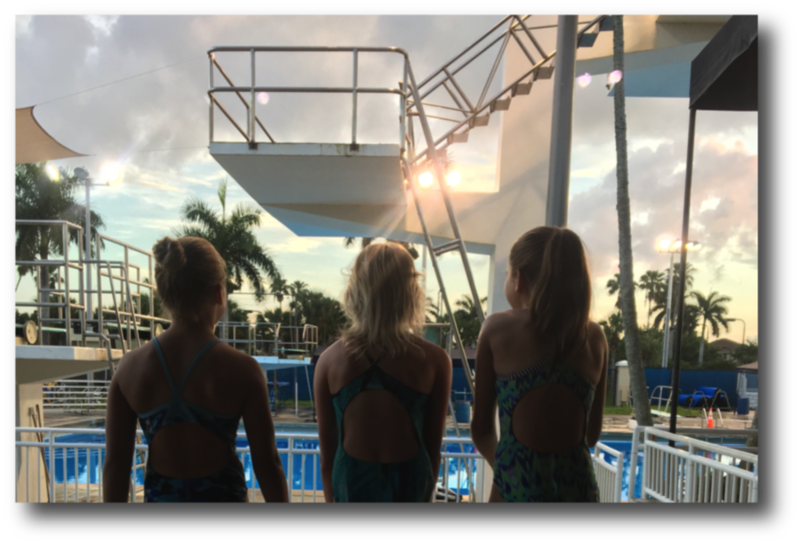 It truly increased her confidence in her diving, and I believe these lessons are far-reaching, not just in diving but in life….keep trying, don’t give up even when things seem hard, and you can do great things. "I believe these lessons are far-reaching, not just in diving, but in life." The team bonding and support of coaches was incredible as well. Highly recommend this experience for any diver looking for a challenging and rewarding way to further their skills. The chance to dive outdoors in beautiful weather at a amazing facility was an obvious reason to attend RIPDIVE. The level of coaching, the amount of skills learned in such a short amount of time, the bonding with teammates and the ridiculous amount of fun had are reasons to return. SSDC Coaches personalized their coaching and goals for each diver, communicating and motivating them all the while. "She conquered fears, learned skills and had fun". I could go on and on about what a great experience and opportunity it was, but I think Siena said it all, “Yes, it was tough but TOTALLY worth it! I learned soooo much and at the end of the day we swam in hotel pool all night- It was awesome! I can’t wait for next year.” She conquered fears, learned skills and had fun - What more could a parent ask for in a camp? Thanks, SSDC! RIPDIVE has been the greatest experience of my son’s diving career and it has had the greatest impact on his diving. The list of dives that he added in one week was remarkable. But watching my son grow, as a person, was a bigger reward. "The list of dives that he added in one week was remarkable". The physical effort and mental focus required from the athletes is substantial and watching each of the participants manage that individually, and as a group, was truly satisfying. I can’t wait for the next RIPDIVE session. I wish it was offered twice a year.